Download game The Escapists right now! 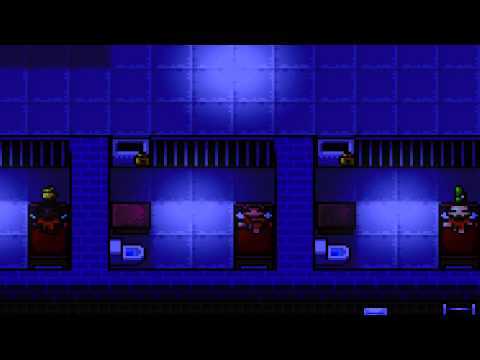 The Escapists provides the opportunity of experiencing a light-hearted insight into everyday prison life and, as is the case with all inmates, the main objective is escape! While under the careful watch of the guards, players will need to go about their daily duties clandestinely secreting useful objects from under their captors’ noses. Potential escapees will learn how to craft seemingly innocuous items into useful tools and even weapons as well as using them to execute cunning diversionary tactics. Players will need to learn when to keep in line, utilising their time sensibly as they develop their own personal plans of escape. Learning the prison’s daily routines and spotting opportunities are all part of life behind bars. Working out potential routes and even misdirecting guards soon become second nature. Whilst remembering to attend roll-call, holding down their job and keeping their fellow inmates on side, players are can also benefit from advancing their character's statistics through various means including boosting their intellect and exercising regularly. Balance mundane routine with careful planning to attain your ultimate goal - escape and freedom! 8 fully operational prison complete with routines to give you a flavour of how it *really* is inside! 10 separate job opportunities for you to sink your teeth into - if you have the knowledge to earn and hold down these employment paths of course! 185+ Unique Items for you to seek out and perhaps even craft useful items with. (Team17 fully endorse the use of various weapons such as ‘shivs’, ‘nunchucks’ and ‘maces’ – within a fictional setting of course!). Various “favour” types for you to tackle, offered up by inmates – you wouldn’t want to go upsetting them now, would you? Multiple escape routes for you to plan and achieve the title of ‘The Escapist’! Multiple save slots so you can have more than one escape attempt on the go! Steam Achievements to strive for. Steam Leaderboard – Once you have escaped see how you fared against other successfully escapees! PRISON EDITOR – Create from scratch your very own confinement masterpiece and share it with the community!